COLUMBUS, OHIO (JAN. 31, 2018) – The U.S. Bureau of Labor Statistics notes massive growth in the nation's healthcare sector with no signs of slowing anytime soon. Scriptel promises to bring its own brand of "magic" to the event, helping healthcare IT professionals noticeably improve quality, accessibility, accuracy, and security associated with their own patient registration, practice management, and electronic health record (EHR) management efforts. 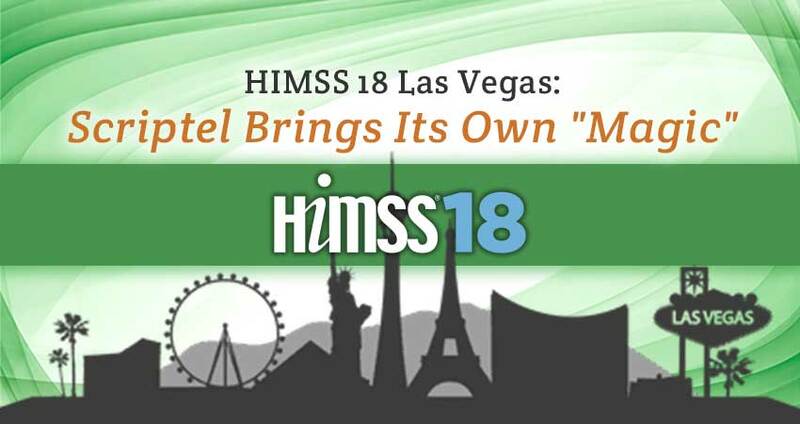 "HIMSS is the largest healthcare IT conference in the nation," explains Scriptel President & CEO Stephan Herron. "Interacting with end-users and Independent Software Vendors at the event allows us to address their concerns in real time." "In doing so, we help them more quickly make sense of emerging trends in paperless technology and leverage advances across the digital signature and document management landscapes—for improved outcomes and quality of care." "Scriptel Citrix Ready software solutions like EasyScript™, for example, expand our clients' cloud computing and patient care capabilities," adds Dir. of Strategic Marketing Steve Sedaker, "making it easier than ever to go paperless and to do it seamlessly." "The superior results end-users get with our products simplify the signature capture and digital workflow process, thereby reducing (or altogether eliminating) their reliance on expensive, error-prone, print-sign-and-scan interactions." The event's host—the Healthcare Information and Management Systems Society—is a nonprofit organization which pursues a goal of promoting the best use of information technology and management systems in the healthcare industry. Online at HIMSS.org. Stop by Booth 13030 at HIMSS 18. Call the Scriptel Sales Team at (877) 848-6824. Like, follow and connect with Scriptel on Facebook, Twitter and LinkedIn. Explore your practice's information security, archiving, and authentication options at Scriptel.com.